With a deep-rooted eye for packaging design our in-house designer, Cheryl examines the psychology of the fitness food sector and the lengths some companies will go to to reach their demographic. Gendered packaging rarely goes down well. Whether it is a serious product like the notorious ‘Bic for her’ or meant to be an ironic joke like Brewdog’s ‘beer for girls’, it’s pretty obvious that pigeonholing women in 2018 probably isn’t the safest business decision. It’s a good thing that these blunders are few and far between, right? I had the opportunity to attend FoodEx, where new and old brands exhibited their latest and greatest products. While making my way through the vast expanse of exhibition stands, ever-alert to hands passing out bits of food on toothpicks, being a woman didn’t seem to play much of a part in which free samples I either stuffed into my bag or my face. That was until I came across the fitness foods section. I can’t say that I was surprised with the overly masculine packaging of gym protein bars. What did surprise me, however, was how blatantly products that were virtually the same were branded for either men or women. Looking at the below example you can see two products from USN, they are both high protein bars for people with an active/gym going lifestyle. It’s certainly not hard to determine which one is aimed at men and which one at women. While I could say that the women’s packaging, showing the flavour rather than the actual bar, is a nod to women’s superior grasp of non-literal concepts, I don’t think that this is the case here. In short, the design of the man’s “muscle fuel” is strong, factual, and focuses more on the amount of protein than the flavour – because obviously men will grit through any flavour to get the protein they need. The women’s bar, on the other hand, is light, fluttery, and focuses on the low sugar content and the fact that it apparently tastes just like a banana waffle. On the whole, I believe the fitness industry is pushing hard to encourage women to participate in the same physical activities as men. It’s no longer out of the ordinary to see a woman smashing it at the at the squat rack and for women of all ages to be going to the gym specifically to build muscle rather than just “tone up.” It’s no coincidence then that the most bustling fitness industry stands were the ones that promoted a fit and active lifestyle for all and didn’t waste resources by segregating products. From a design perspective, the brand Barebells, stood out the most to me at the show. While black is mostly used in the “male” oriented products, the black in these bars are offset by a lighter stripe, creating a really nice retro looking pop of colour. The typography is strong without looking like the designer was suffering from a bad case of “roid-rage”. Though the logo is in a script typeface, because it’s balanced out nicely with colour and a bold sans serif, it in no way gives the product a “this is for women” vibe. In my opinion, this brand has done an excellent job in creating harmony between traditionally masculine and feminine elements within their packaging. While these are just two examples of different companies operating within the same sphere, it shows how design reflects culture change and the new trends that will result from products not focusing on a gender demographic. 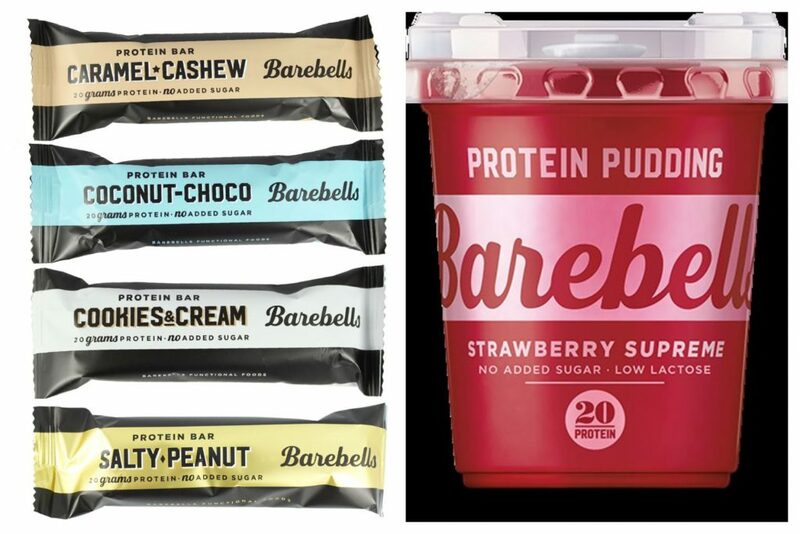 While I am by no means saying that the USN bars are poorly designed, I think that because Barebells are not using gender specificity in their design, they were able to concentrate on creating a more interesting, eye-catching, and inclusive product. The ultimate question here though is; will us women be able to make our way through a world where our protein bars don’t reflect our angelic natures and our deepest desires to be ‘skinni’? Somehow, I think we’ll be just fine. . .
For more opinion pieces, you can check our previous blogs and you can find further information on our design services here.